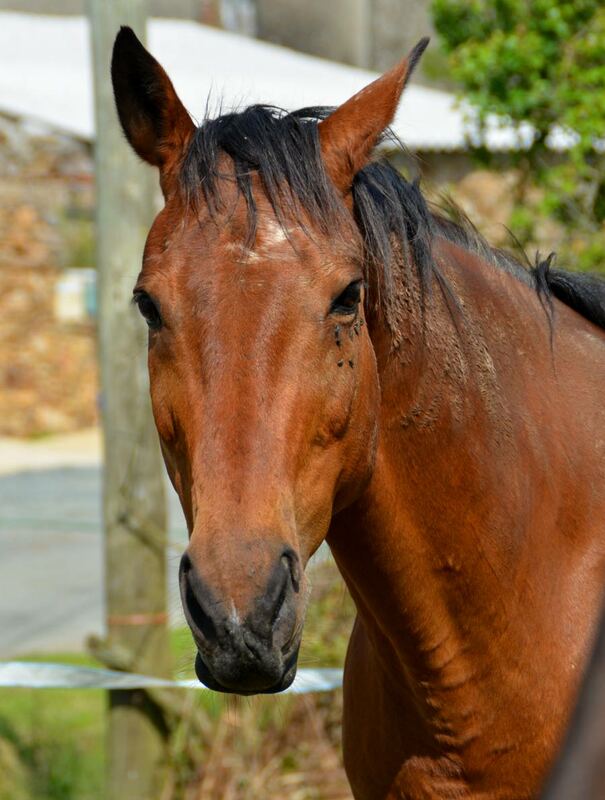 Paqua is a thoroughbred born in April 2003, he was our first horse. Upon his arrival, he was just 3 years old. He was retired from steeple chasing, because of a tendon injury in his left hind leg. 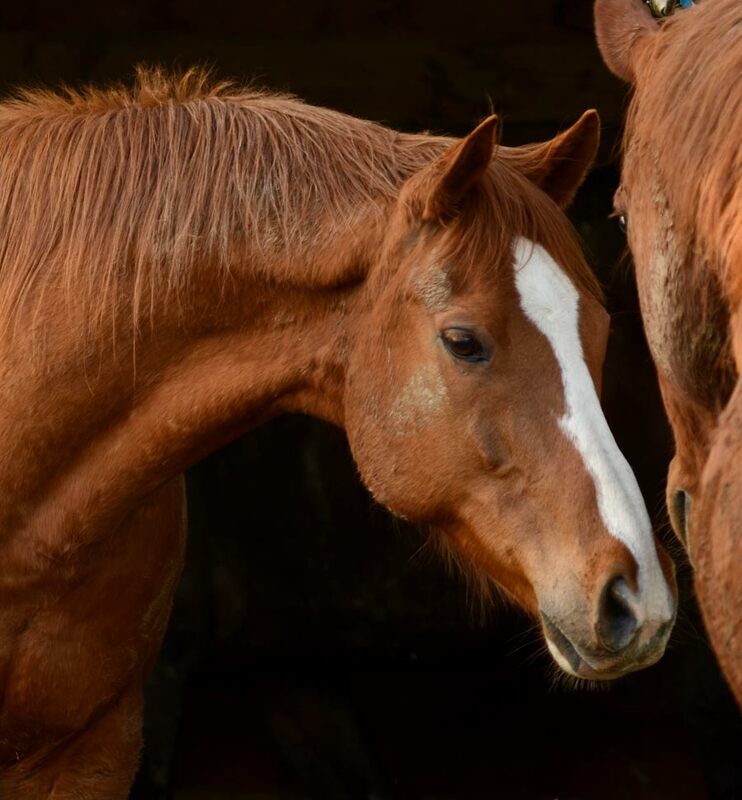 From the young fiery and unruly horse he was, he is now a confident, curious, very intelligent, and jealous horse, yes, it also exists in animals. He is the closest to Alain’s heart! 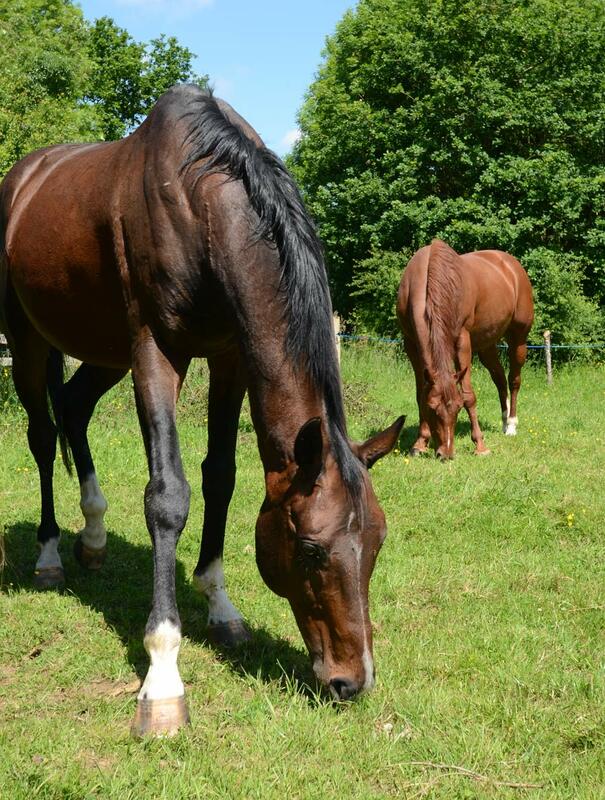 Thoroughbred born in June 1999, our second horse, he was 9 years old when he came to us. Also a retired racer, appearing calm at first, King was very timid and wary and not always easily approachable. A lot of hard work was needed to restore his confidence and whilst he is much better he does not like to be separated from his companions. Aerial is a thoroughbred born in May 1998. It is stallion, so it is capable of being put to stud. He career ended in 2008 after winning several races.Generally, stallions are reputed to have character, they are called “hot or fiery”. Aero is “cold or laid back”: nothing bothers or panics him. But as a stallion, don’t forget that Spring makes him more lively and games with friends are sometimes a bit rough. Of uncertain race, he must have quatering horse origins: he also had a western education. Born in 1997, it is the oldest but also the last to arrive. Acceptance by the group took a little while. 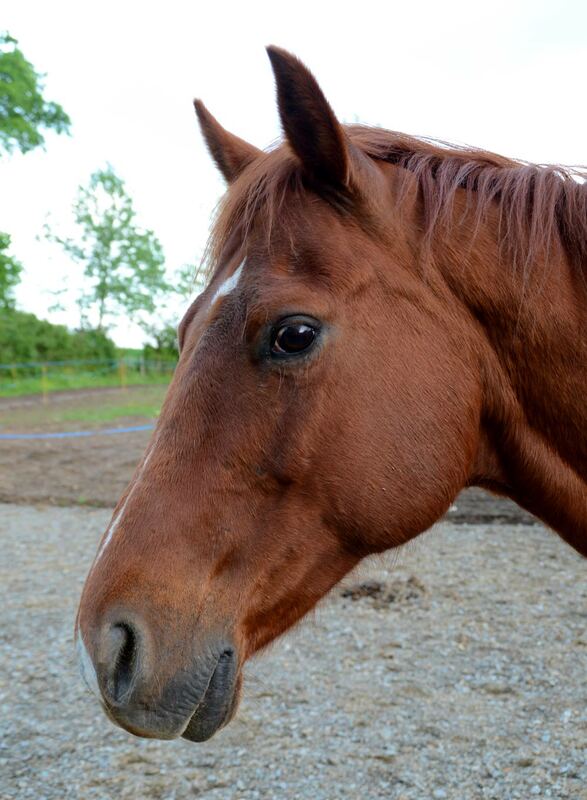 Toto is a calm horse, stoic and very close to man (sticks like glue). Despite his size, he gallops very quickly … even faster than a thoroughbred over a short distance (400 m). From the start to the finish …wouhaou!